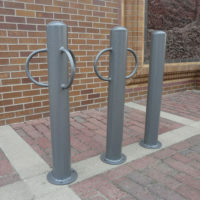 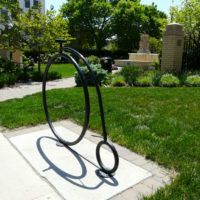 Flip Up 2-bike rack in stainless steel - Bison, Inc.
With great curves and incredible flexibility, Flip Up fits virtually anywhere in pods from 1 to 101. 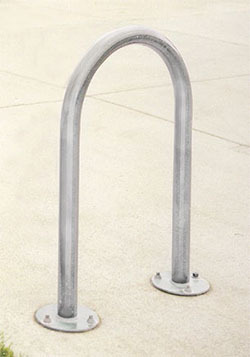 Each shapely 2-3/8″ tubular inverted U is surface mounted and parks two bikes. 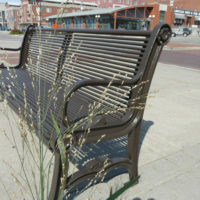 Constructed of stainless steel, your street, school or park project will be a hit for people-powered communities.